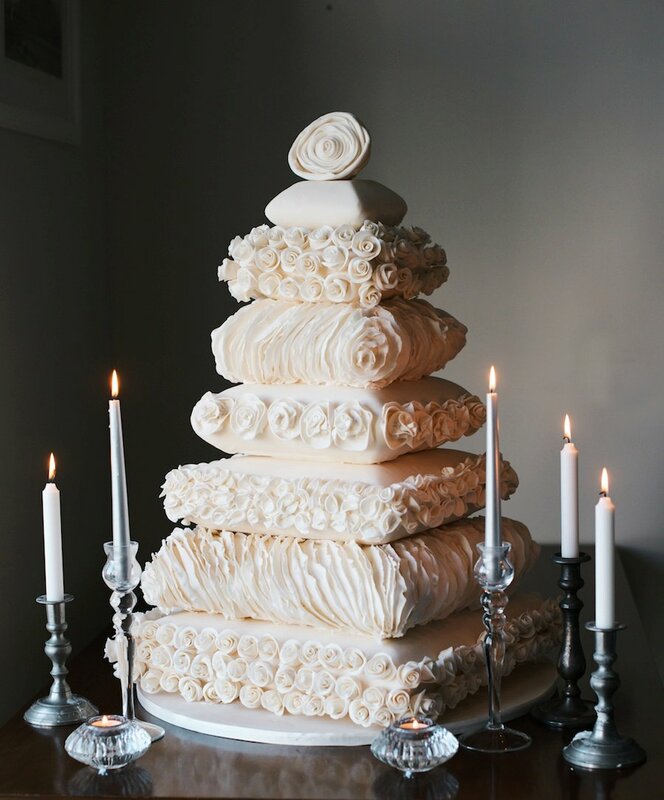 Home > Wedding Ideas > All > Top 10 Wedding Cake Trends for 2016!! 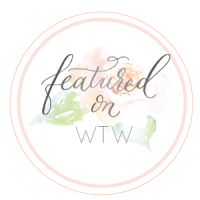 Wedding cake artisan and super talented wtw sponsor, Elizabeth Solaru of Elizabeth’s Cake Emporium is an expert when it comes to wedding cakes and wedding cake trends! 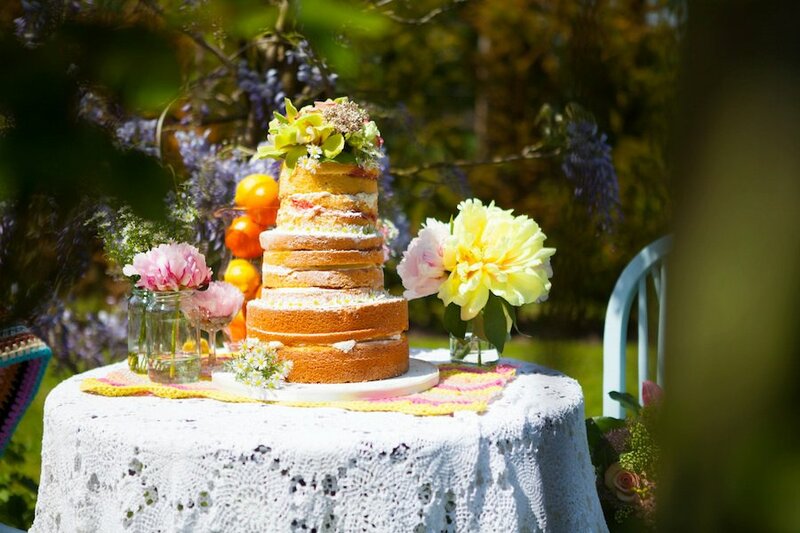 3 times winner of The Great Cake Bake and a top 5 cake maker, Elizabeth has compiled a post of beautiful cakes detailing her predictions for the top 10 wedding cake trends for 2016. 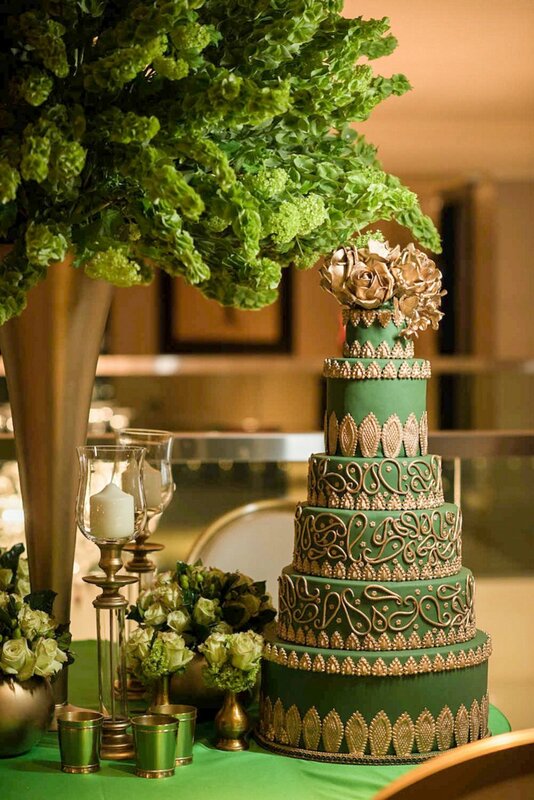 These cakes represent everything opulent, rich and detailed. 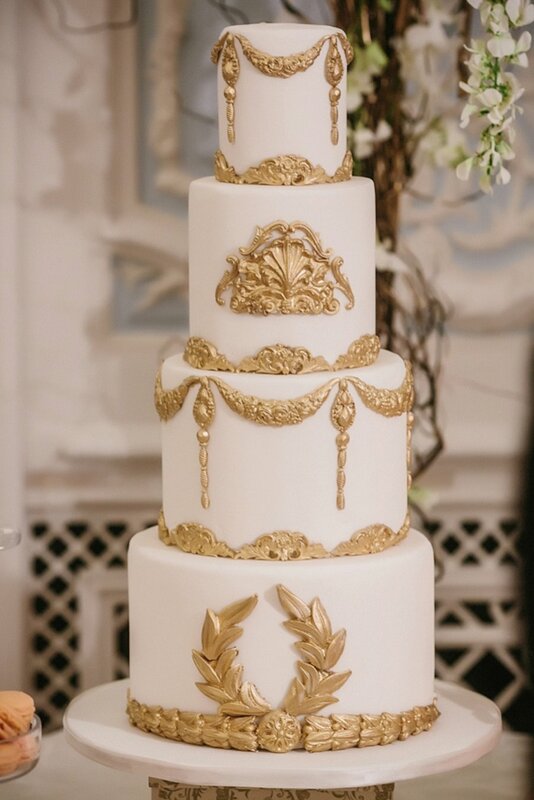 The lavish use of gold swags, scrolls and rich embellishments seen on the catwalk in the collections of Alberta Ferretti and Dolce and Gabbana translates wonderfully into wedding cakes that are fit for a modern princess. Tall cakes create such a dramatic impact as they seemingly reach for the skies without toppling over. 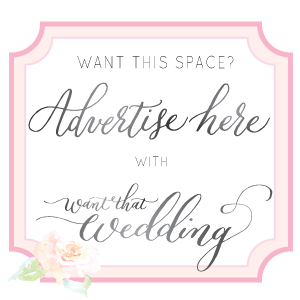 Ideal for reception venues with high ceilings, they are ideal for brides who want to leave a lasting impression. 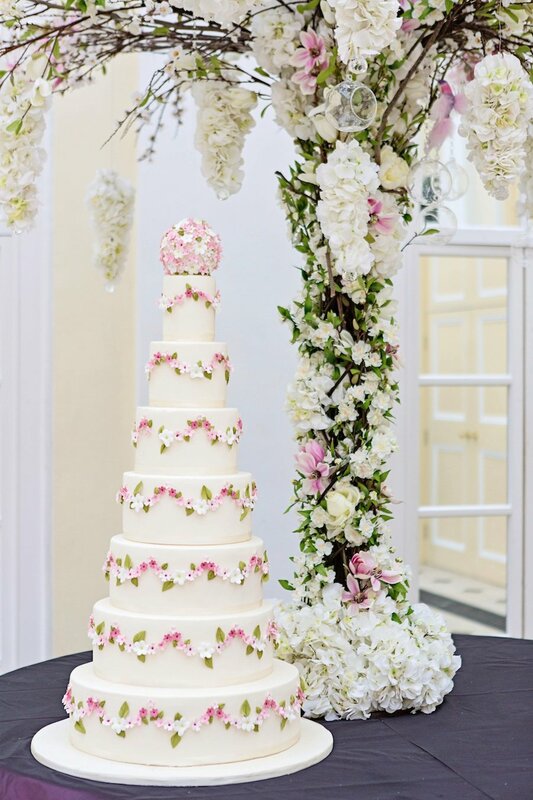 Ever since the wedding of the Duke and Duchess of Cambridge, there has been a growing trend in the UK for such wedding cakes. The rustic vibe of naked cakes and cakes decorated with just the merest hint of buttercream are will still be popular in 2016 but we will see more creativity with flavour combinations, filings and decorations. 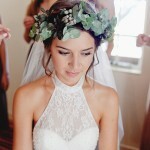 Many bridal designers such as Jenny Packham, Monique Lhullier and Oscar de la Renta featured lace embellished bodices and hems on their catwalk shows in a much redefined way. 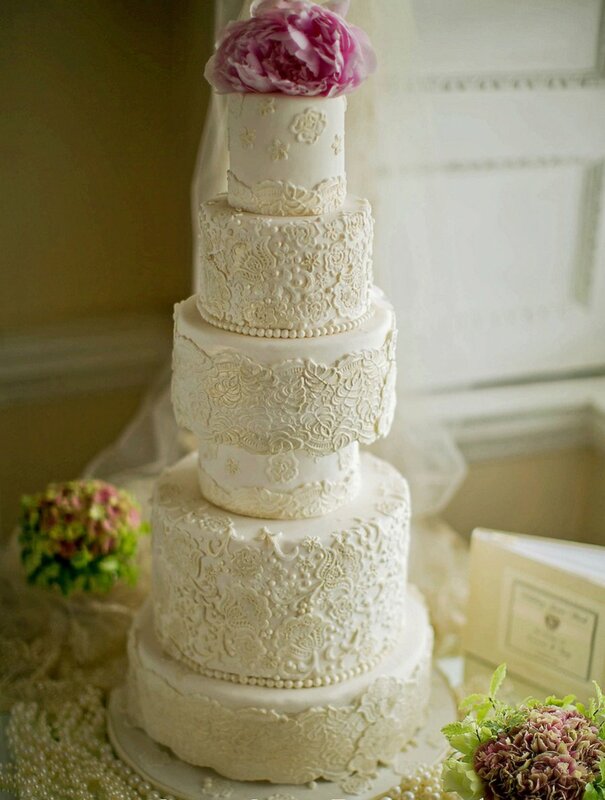 Wedding cakes adorned with lace have always been a firm favourite with brides and this trend is set to continue. One of our iconic cakes, this Grace Kelly inspired cake was a real labour of love to create. Painted cakes have been gaining popularity in recent years and it’s a perfect way for any couple to personalise their cake. 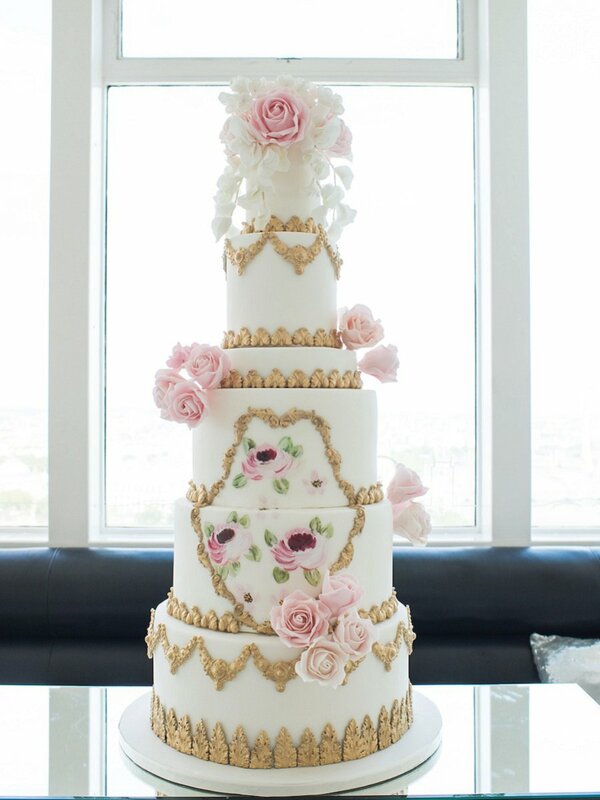 From florals, love birds or even hobbies, gorgeous hand painted cakes are set to be even more popular in 2016. 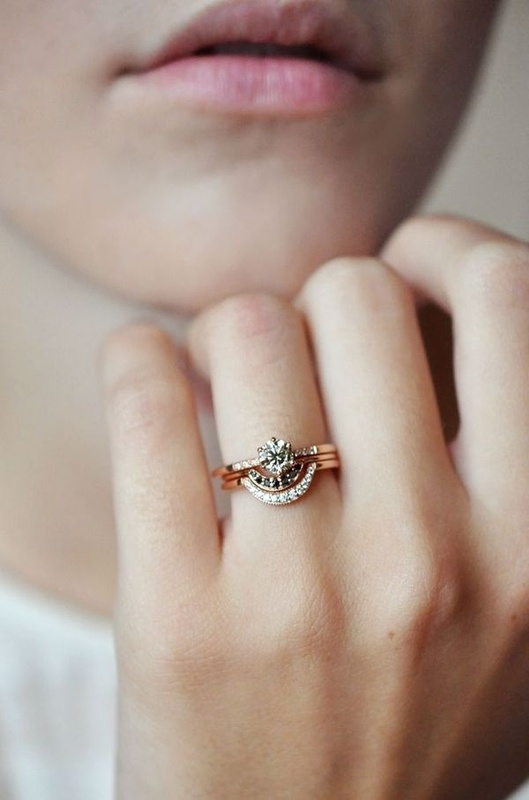 2016 will see a rise in demand for cakes, buns and even breads that reflect a couple’s cultural background. 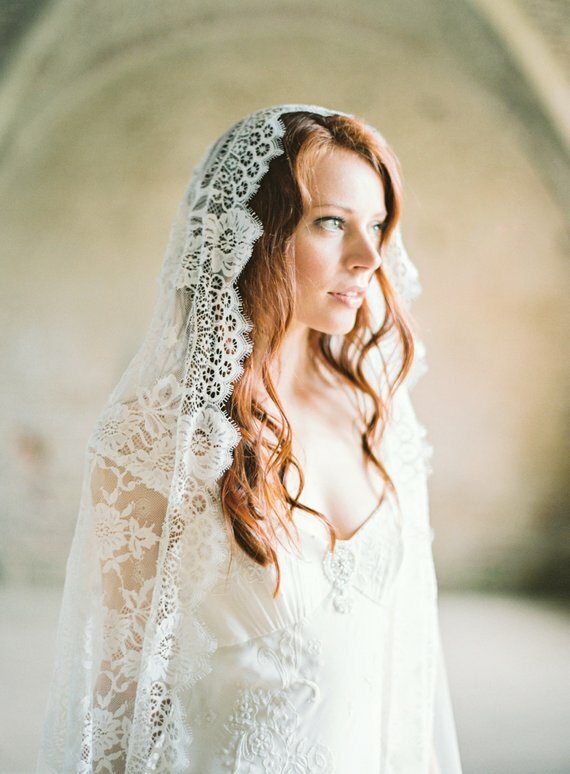 Designs may be inspired by particular traditions, special wedding outfits, symbolic gifts or lucky colours. 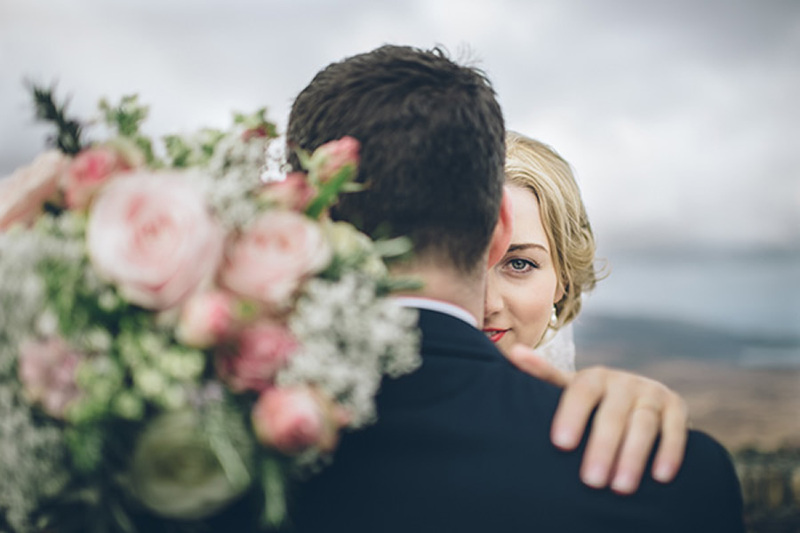 A city wedding is the preference of many couples, as it can mean stunning architecture, iconic landmarks, picturesque parks and mesmerising cityscapes. 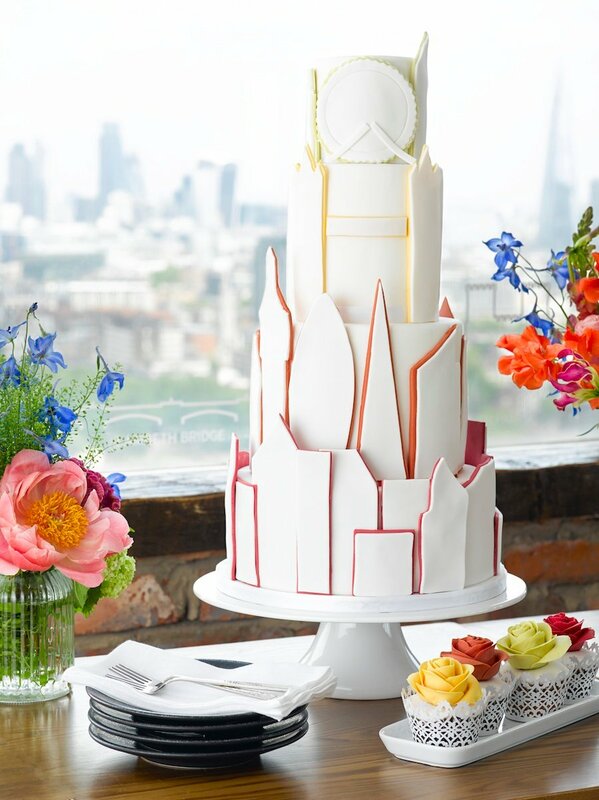 A stylish and sophisticated cake that showcases the chosen city is a winner. Bold and striking, a black cake is a dramatic alternative to the traditional white wedding cake. 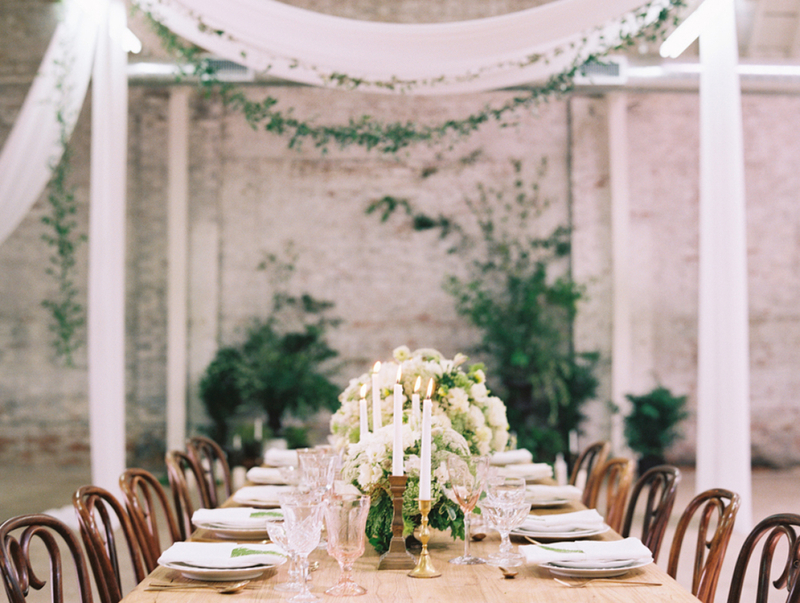 In 2016 more brides will be willing to embrace dark colours and incorporate them into their wedding colours. 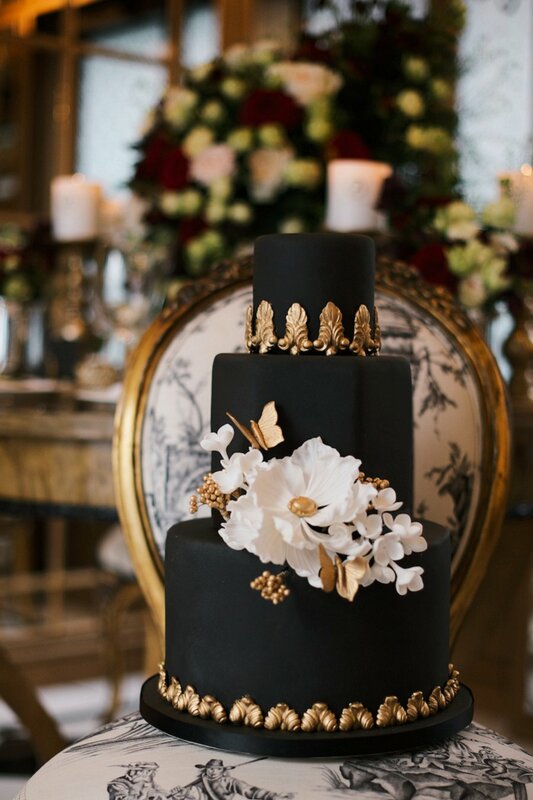 This chic black wedding cake with the gold trim detail, large sugar peony and gold butterflies and berries is elegant and striking. 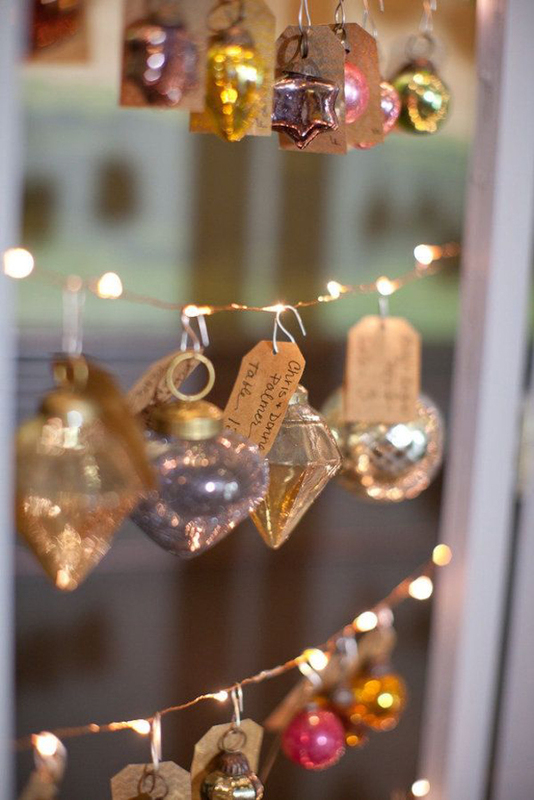 A couple’s choice of wedding colours can be said to a reflection of their personalities and taste. 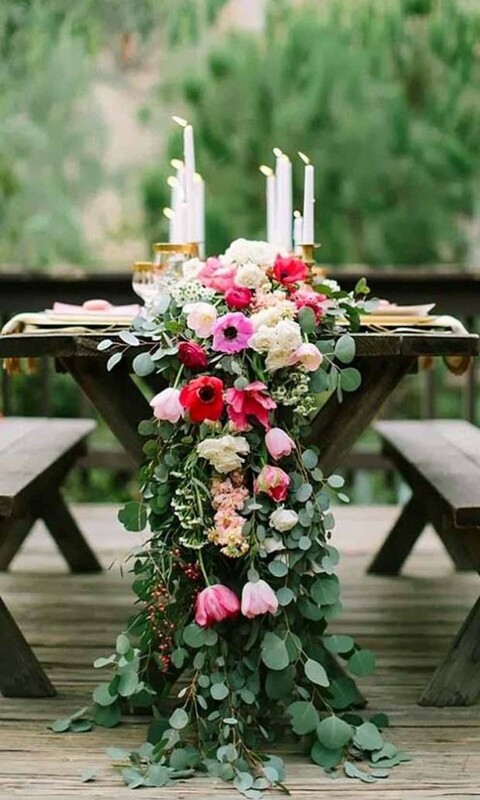 Personal preference, cultural background and trends can also influence wedding colour schemes. 2016 will see braver colour choices, with analogous and complimentary schemes dominating. 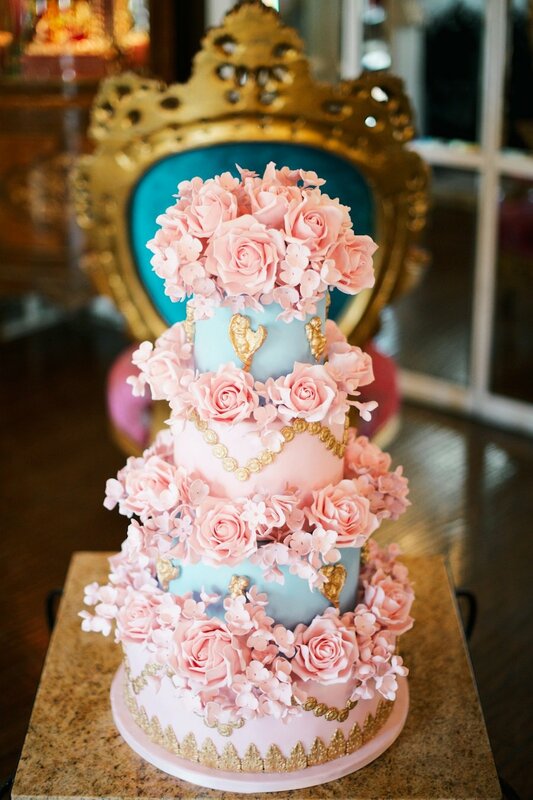 Our Marie Antoinette baroque cake in serenity and rose quartz is a good example of this. From gorgeous ruffles to thrilling frills, floral appliques or sequins, texture has been huge on the 2016 bridal catwalk. These translate very well into cake design and many brides will still opt to match elements of their wedding dress to the cake. Our 7 tiered pillow/cushion cake perfectly demonstrates the use of different textures to create a beautiful luxury wedding cake with a difference. What a gorgeously creative collection of cakes and I totally agree with these trends from Elizabeth’s Cake Emporium for 2016. My faves are the dark and decadent black cake, the sleek and modern city cake and the elegant and romantic textured cake. 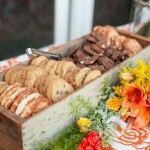 Loved this post browse past years wedding cake trends.